Brahmanbaria, Nov 17 (Just News): In response to opposition demands regarding non-party supportive government, Law Minister Anisul Huq today asserted that the polls will be held under Sheikh Hasina’s administration. “The constitution has stipulated that the parliamentary election will be held under the latest elected government,” the minister said at a public meeting held in Brahmanbaria district today. 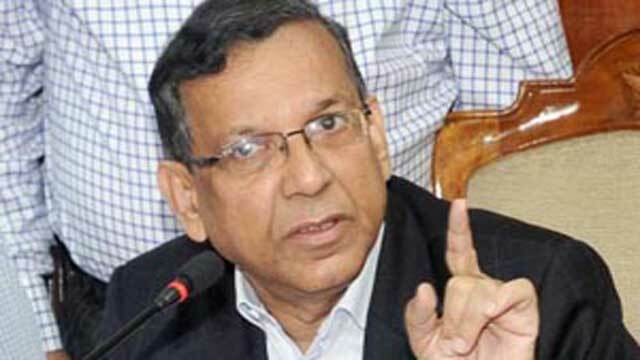 “Accordingly, the next parliamentary election will be held under Sheikh Hasina-led government,” Anisul Huq said and added that the election will be conducted by the Election Commission. He said the 2019’s national election will be held in a free and fair manner and announced that he would contest in the election from Brahmanbaria-4 (Kosba-Akhaura) constituency. The law minister also urged all to cast their votes for Awami League in next general election and to give befitting reply if anybody tries go for terrorism in the name of the polls. The law minister was addressing the public meeting on the occasion of inauguration of a new electricity connection at Kalinagar village in Akhaura upazila of Brahmanbaria.